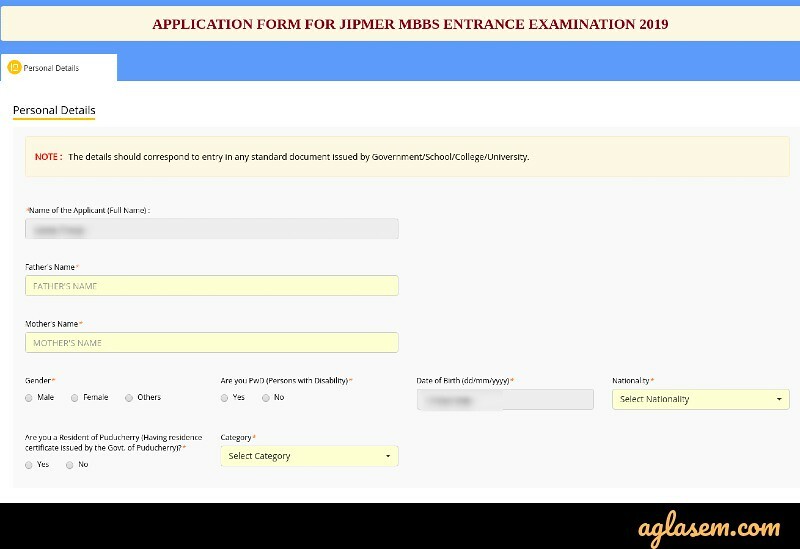 JIPMER 2019 Application Form has been released online on March 06, 2019 at 11 AM. The last date to submit the JIPMER MBBS 2019 Application Form is April 12, 2019. To be eligible to fill the Application Form, the students should have completed 17 years of age and should have passed 10+2 exam Physics, Chemistry, Biology / Biotechnology, and English. The application form JIPMER MBBS 2019 entrance exam is releasing at jipmer.puducherry.gov.in. It is released by the Jawaharlal Institute of Post-Graduation in Medical and Research (JIPMER), Puducherry. The JIPMER Application Form is released by online mode only. Check here complete details on JIPMER MBBS Application Form 2019. Last year a total of 1,97,751 candidates registered for JIPMER MBBS entrance exam. The candidates can check the complete schedule for JIPMER MBBS 2019 Application Form from the table below. The application process for JIPMER MBBS 2019 is over now. The application process is said to be completed only if the aspirants have paid the Application Fee. For JIPMER MBBS 2019, the aspirants shall have to pay the following amount of fee. Mode Of Payment – Application fee payment can be done through the three methods mentioned below. While making payment, applicants are advised not to refresh the payment page until the confirmation of final submission pops-up on your device. 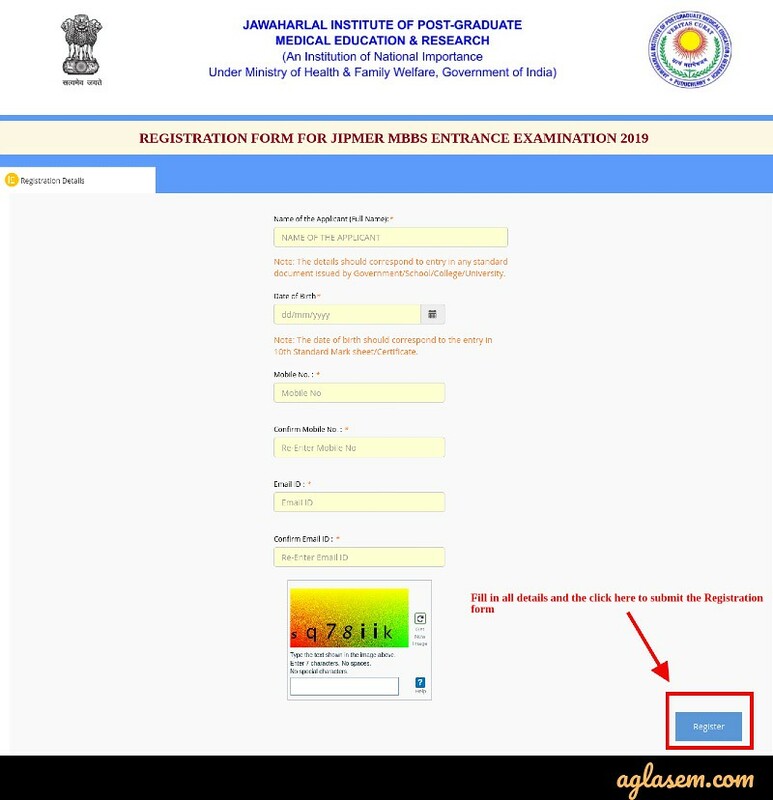 Now, before the students proceed to apply for JIPMER MBBS 2019 entrance exam, they should first check the Eligibility Criteria. Below we have given the eligibility criteria for JIPMER MBBS exam. The candidate should have completed the age of 17 years at the time of admission or will complete the age on or before 31st December 2018, There is no upper age limit for this entrance exam. Chemistry, Biology / Biotechnology (which shall include practical tests in these subjects) or any other elective with English. Students should have passed in the subjects of Physics, Chemistry, Biology / Biotechnology and English individually and must have obtained a minimum of 60% marks (50% in case of SC/ST/OBC/OPH candidates in general category) taken together in Physics, Chemistry, Biology / Biotechnology at the qualifying examination. In the JIPMER Application Form, the candidates need to provide correct details in it. Hence, it is advised to the candidates to keep the following list of documents ready beforehand. In the JIPMER Application Form, the candidates have to upload the scanned image of their passport size photograph and signature. The images are to be uploaded as per the specification, format, etc. The specifications for uploading the images are as provided below. The aspirants need to upload their recent passport size color photograph with a white background. The photo must be taken on or after January 31, 2019. The photograph must be taken with a placard while the placard is being held by the candidate indicating the name of the candidate and date of taking photograph. The aspirants can apply for JIPMER MBBS entrance exam 2019 by simply following the step-by-step instructions as provided below. Click on the direct link provided on this page for JIPMER 2019 Registration. Next, the candidates need to register by entering details such as their Name, Date of Birth, Mobile Number and Email ID. On entering the details, click on the “Register” button. On submitting the registration details, the candidates will get a login link at their registered email id. 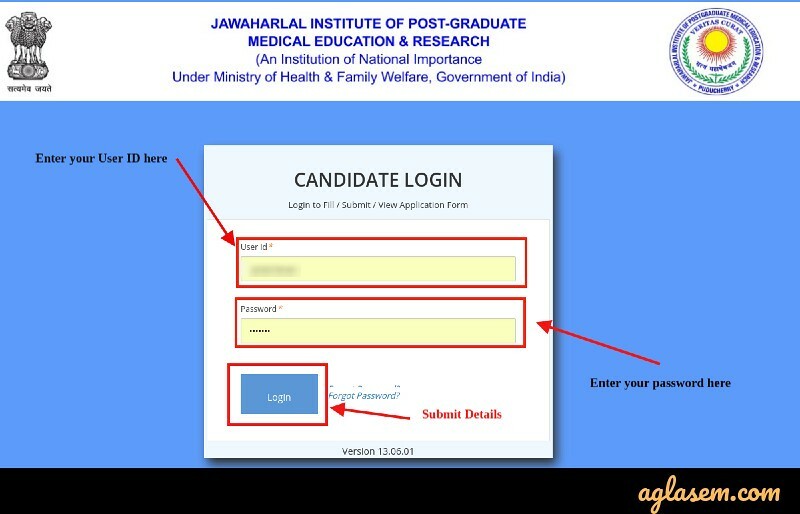 To fill details in the JIPMER Application Form, the candidates need to log in using their User id and Password. To submit the details, click on the “Login” button. Then in the next screen, click on the “Go to Application Form” button on the top of the screen. 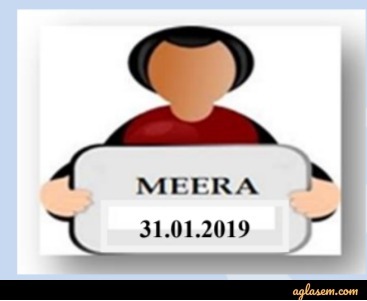 Exam City Preference – Here, the candidates need to select three (03) choice of Exam City for JIPMER MBBS 2019 entrance exam. Upload Images – After selecting the test centers, the candidates need to upload the scanned images of their photograph and signature. After filling in all the necessary information, the candidates will then have to click on the “submit” button. On completion of the above-given steps, the candidates will have to pay the required amount of application fee. The registration fee is payable by Online mode only. The test centers for JIPMER 2019 has been increased tremendously from 75 to 120. Last year, JIPMER exam was conducted only at 75 cities in India. The candidates can check the complete list of JIPMER 2019 Test Centers from the table below. What Are Possible Reasons for Payment Failure? What If the Amount is Debited but the status says Transaction Unsuccessful? In case if the transactions fail but the payment gets debited from the candidate’s account, then the amount gets automatically refunded by the bank within 30 working days. However, in case if you still do not get the refund after 30 days, then you can send the message to the concerned authorities do send message to the following email id, after which the status of the refund will be intimated. The Institute does not provide the candidate the facility to edit details in the JIPMER Application Form after the payment is done and the candidates have submitted the application form. In case, if the candidate has made a mistake in the Application Form and submitted the form, it is advised that such a candidate should do fresh registration and submit a new form for JIPMER 2019. The Institute issues the JIPMER Admit Card/ Hall Ticket 2019 only to those candidates who submit the Application Form before the last date with complete payment. The admit card will be available for download from May 02, 2019 till the date of the exam. To download it, you will require your User ID and Password. It consists of details such as date, timings, the address of the test center, etc. It is a mandatory document to be carried along with the ID proof. Digital copy of the JIPMER 2019 Admit Card is not allowed. Ques. I am pursuing 10+2 in Science stream for my CHSE exam. Can I apply for JIPMER 2019? Ans. Yes, you can fill the JIPMER 2019 Application Form. However, remember that you should obtain the necessary qualifying marks at the time of admission. Until then your admission is on a provisional basis. Ques. How can I check Application Status for JIPMER 2019? Ans. There is no such facility by which the candidates can check the Application status. Once the candidates pay the application fee, they shall get a message that the payment was successful, which means that the application has been submitted successfully. Ques. I have submitted the form, but by mistake, I have entered my name incorrect on it. What should I do? Ans. It is advised that you should submit a new form as there is no form correction facility for the candidates. 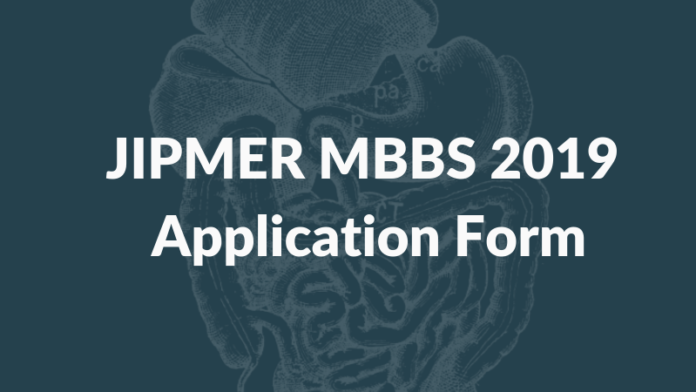 If you have any confusion related to JIPMER MBBS 2019 Application Form, then do let us know in the comment section below. I am applying for MBBS 2019. I have a doubt regarding OBC certificate . I have got my OBC certificate on 21.03.2018 which is valid for one year that is till 21.03.2019, can I upload this certificate now for the application process and get the new OBC certificate of date mentioned in the MBBS prospectus 2019, for Counselling process. Does the OBC certificate I’m uploading now and the OBC certificate which I’m going to produce during the Counselling process should be of same date. or can I upload the OBC certificate of 21.03.2018 (which still has validity ) now for the application process. I have applied for the new OBC certificate too,but the officials are taking more than 15 days to give the certificate,so can I upload the OBC certificate of 21.03.2018 (which still has validity ) now , and produce the new certificate during Counselling Process . yes you can apply with that certificate and you can show it later while counseling. You can just upload the scanned image of their passport size photograph and signature. wat are the portions for jipmer exam this year ? I am applying for MBBS 2019. I have a doubt regarding OBC certificate. I have got my OBC certificate 31/10/2015 which is valid for one year that is till 30/10/2016,(which is already expired) may i upload this certificate now for the application process and get the new OBC certificate of date maintained in the MBBS process 2019,for councilling process. Does the OBC certificate I’m uploading now and the OBC certificate which I’m going to produce during the councilling process should be of same date.or may i upload the OBC certificate of 31/10/2015 now for the application process. I have applied for the new OBC certificate too,but the officials are taking more than 20 days to give the certificate,so may I upload the OBC certificate of 31/10/2015 now and produce the new certificate during councilling process. kindly clarify my doubt regarding this. yes you can do this you can represent the new OBC certificate and upload the old one now. Try after some time as sever may be down. There is no correction facility you have to fill the form again. 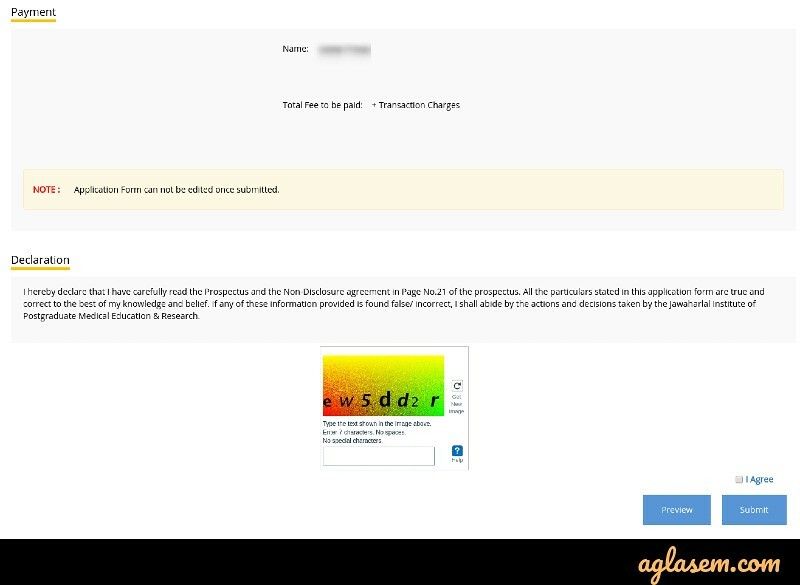 I have submitted the form with no date on the photo and name what to do? Now you can’t do anything with that form, you can fill the new form if you have not done with the payment of the previous form ..You can submit the new form with name and no. on your passport photo. My obc certificate has validity upto 31 /03/2019 and I have applied for new one which takes time. Also it is not of the prescribed format in annexure meaning its just not the exact copy of what is given in annexure 2 of jipmer prospectus, yet it has all those important lines stating I am obc..etc. In 2019 in my district if i apply for obc I m getting this new digital version only which is not “looking” like the one in annexure. Pls say it i could use this one itself ? I am really confused about the format. The obc crtfcts given are no more with that format but a shortened version with main lines . Pls help me. if you have applied for a new one then you might have got a receipt of it. Hi, my date of birth was incorrect (day and month are interchanged). Do I need to submit new application for this. yes app try kr skte ho.. Try to edit the application. WHAT WAS THE LAST DATE AND TIME FOR APPLYING? I HAVE FILL EVERYTHING CORRECTLY BUT BY CHANCE THE PHOTO THAT I HAVE POSTED, ON THAT PHOTO DATE IS 05/03/2018, WHAT CAN I DO NOW APPLICATION FORM DATE IS ALSO GONE AND THERE IS NO CORRECTION OPTION , SO WILL U HELP ME WHAT I HAVE TO DO RIGHT NOW, WILL YOU TELL ME THAT I WILL GET MY ADMIT CARD OR NOT AND IF I HAVE GOT MY ADMIT CARD AND I HAVE GIVEN THE EXAMINATION AND I GOT SELECTED THEN AT THAT THAT TIME MY ADMISSION IS TAKEN OR NOT ? You have to contact the officials or write the mail about the same.